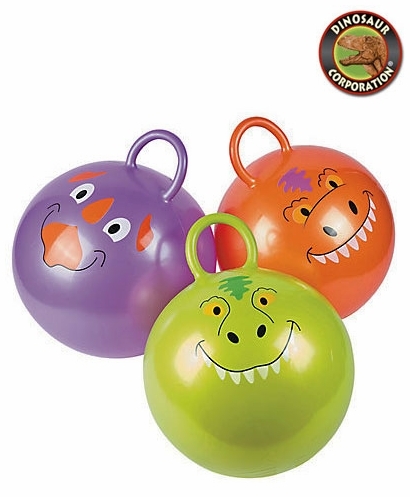 Home | PARTY SUPPLIES | DINOSAUR PARTY | Dinosaur Happy Hopper, 18"
These durable Dinosaur Happy Hoppers are a great way to bounce off some energy while getting exercise and improving balance. Add them to your dinosaur birthday party supplies for a great party activity that helps youngsters work off that cake-fueled sugar high! Hoppers are also great classroom supplies for daycare and preschools, or keep them at home for your own youngsters to enjoy with their friends - adults can join in the bouncing, too! These enjoyable dinosaur toys are fun for active play both indoors and out.